EKE Group develops and constructs dwellings and residential areas in the St. Petersburg, Tallinn and Riga areas. In central St. Petersburg we have constructed an apartment block with 317 apartments, which was commissioned in September 2018, and an other project has started. In Tallinn, Uuesalu, constructed by EKE’s subsidiary IBE Estonia Oü, is currently the largest residential construction site located near Tallinn. In Riga, EKE-Latvia is developing several apartment block projects and the Beberi low-rise building area. In the beginning of 2016 started EKE-Engineering to construct an apartment house block of 317 apartments in St. Petersburg, on the Vasilyevsky Island next to the historical city centre. Design solutions in Dve Epohi (Two Centuries) represent two different eras: the modern buildings respect the traditional facade architecture typical of St. Petersburg. The car park beneath the site has approximately 180 parking spaces, and commercial premises are located on the street level. Once the western bypass road of St. Petersburg was completed in 2017, the Vasilevskiy Island got a rapid connection to the north and south bypassing the traffic jams in the city center. Dve Epohi apartment house block was commissioned in September 2018. See video on the progress of construction as of March 2018. Urban Awards 2018 rewarded Dve Epohi as the most ecological residental complex of the year in St. Petersburg. In the autumn 2017 the local business newspaper Delovoy Peterburg rated Dve Epohi as the winner in the category Best residential complex in the segment of business class. The independent panel of residential experts has already two times selected Dve Epohi as the best residential project on Vasilyevsky Island – for 2017 and 2018 years. 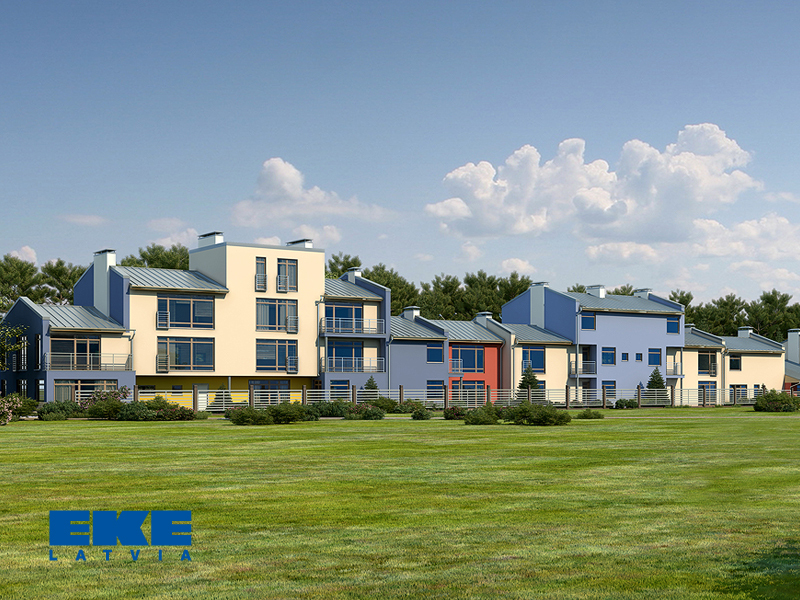 EKE’s Estonian subsidiary IBE Estonia Oü will construct several residential areas near Tallinn. The company’s largest construction project is the Uuesalu low-rise building area with 400 apartments. Approx. 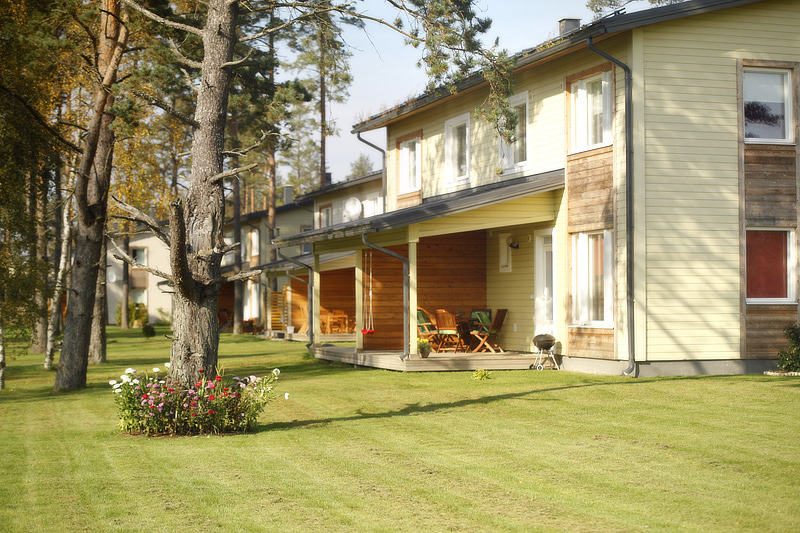 150 of the 400 apartments in semi-detached and terraced houses in the Uuesalu area have been completed. The EKE low-rise building concept will be followed in the Uuesalu construction site in order to create a welcoming, village-like community. The centre of Tallinn is readily accessible from Uuesalu, which is located by a main road leading to Tartu. Nature is one of the area’s most important assets. A full-grown pine forest distinguishes Uuesalu from many other recently constructed residential areas. The apartments contain plenty of natural materials: all buildings are wood-covered, and they contain no more than two storeys. The use of natural materials guarantees that the entire area has a uniform exterior. The Ülemiste low-rise building area is located south of Lake Ülemiste, one kilometre from the airport . Along with municipal engineering, 112 semi-detached and terraced houses and 45 apartments in small apartment blocks have been constructed in an area covering approx. 6.3 hectares. The Pikusta area, covering almost 50 hectares, is located outside Tallinn. Approx. 250 apartments in low-rise buildings are planned in Pikusta. In the early years of the 21st century, single-family dwellings and 161 semi-detached and terraced houses were constructed in Peetri village in the Rae municipality. EKE’s subsidiary SIA EKE-Latvia operates in Latvia. It develops new residential blocks near Riga. Five apartment blocks are planned for the central area of Riga. It is estimated that the construction will start in early 2017. 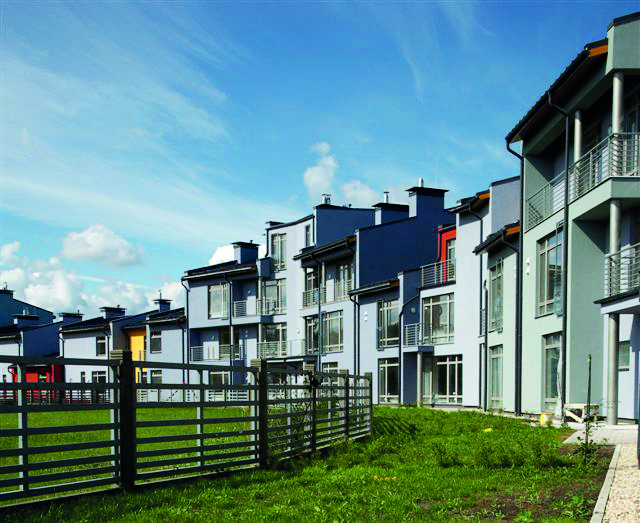 Our largest construction project in Latvia is the low-rise building area in Beberi. We still have 22,000 square metres to construct. In Marupe, the company owns 12.1 hectares of territory with ten completed semi-detached houses, or twenty apartments . By car, it is only a ten-minute drive from Marupe to central Riga. In Riga by Lake Kišezers, the company owns approx. 28 hectares of scenic territory. Plans are being drawn for its use for residential and business purposes.